After five months of ignoring my blog, here I am again. I thought of writing a long post about why I was MIA (again) but that would require a lot of words, maybe a series of posts, and I’m just not in the mood for that. So for now, before my favorite season ends, this one will do. This summer’s been one for the books, the kind that brought me to the low of lows while sometimes giving me glimpses of the high highs in life. Despite everything, I still consider it as one of the best summers ever. It brought me to places I’ve never been before such as making me realize how strong I actually am. 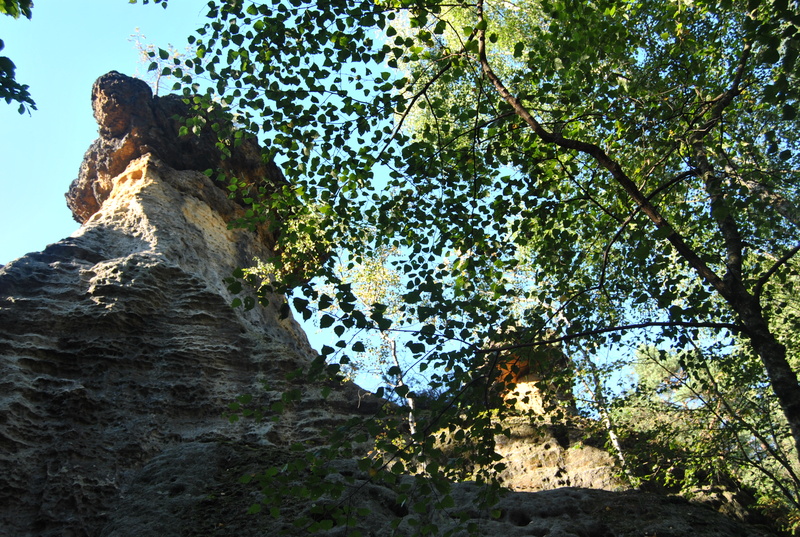 Literally, it brought me to Kokořín Castle. 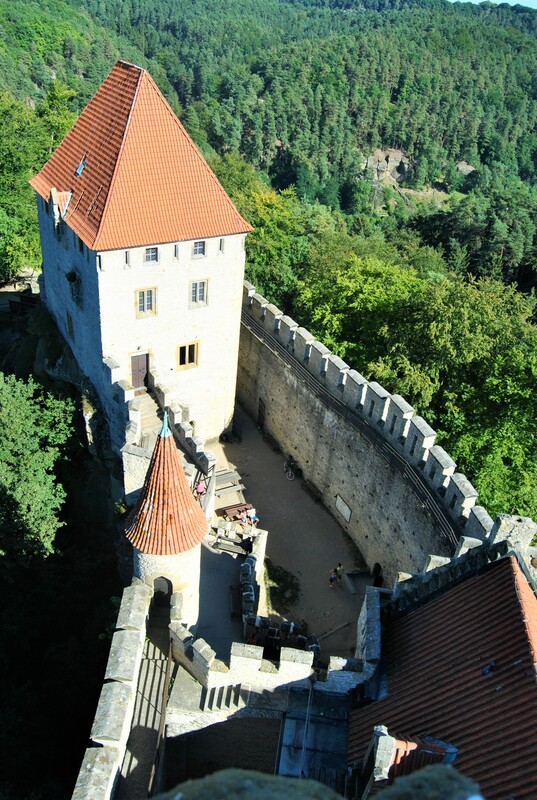 Kokořín Castle is in the middle of a natural reserve and is only about half an hour drive from Prague. 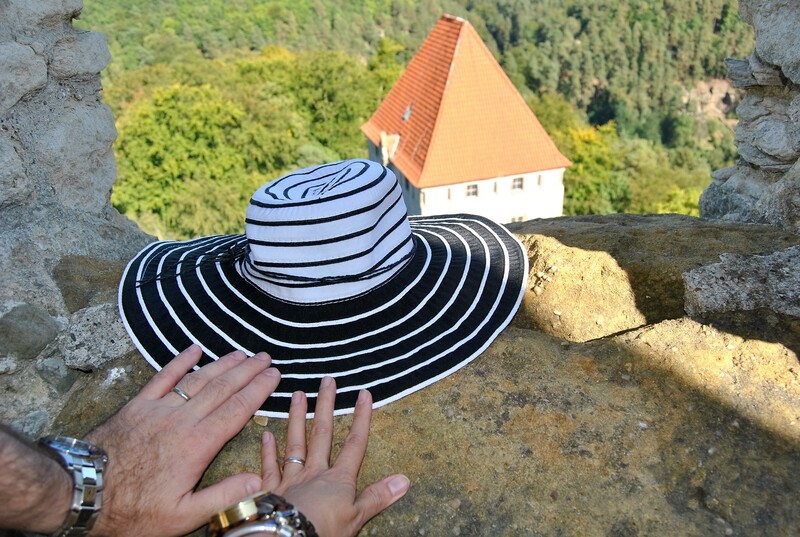 My husband and I chose to visit this castle a few weekends ago because of its proximity to Prague and because of the rock formations near it. 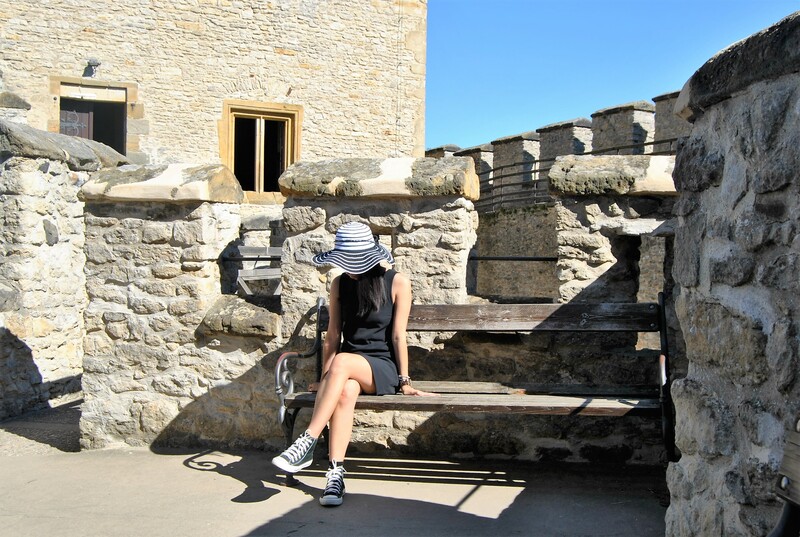 Like most castles, it’s quite a steep climb on foot from the parking area so it’s good to wear your most comfortable shoes when visiting. The entrance to the castle grounds is free. A guided tour costs 80kč (about €3) per adult. Students and children pay less. We aren’t into guided tours so we opted to climb the tower for 30 kč each. Up here you can marvel at the view of the courtyard and at the 360 degree view of green surroundings to your heart’s content. It’s great that though we visited in the height of touristy season, there were only few people around. It helps that the Czech Republic has looooots of castles around. 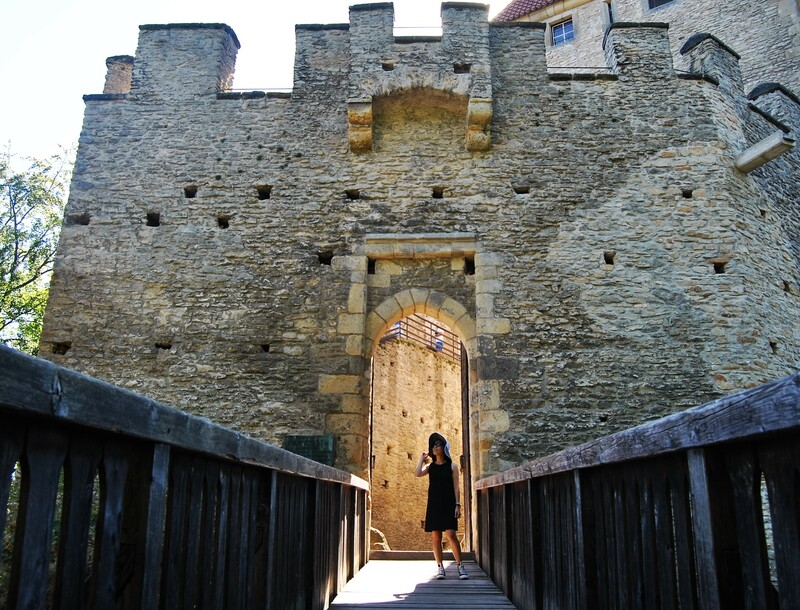 It’s no surprise to sometimes find yourself alone in a castle tower. You can imagine your own fairytale without someone bursting your bubble or you busting someone’s rib for a perfect bird’s eye view. 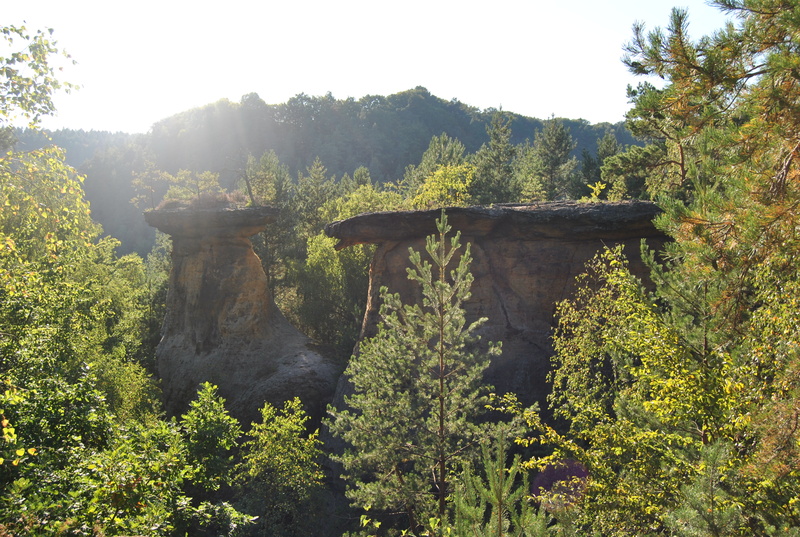 Around three kilometers away from the castle are rock formations shaped by centuries called “Pokličky.” Pokličky means lids in English because that’s how the top stone slabs look like. You can either drive from the castle parking to here or hike through a trail in the woods. For us, it’s no fun to drive when you can hike so hike it was. But it wasn’t fun when I started limping from the blisters caused by my shoes. Wrong choice of shoes for the occasion again. I never learn. We got back to the parking lot from Pokličky just around 7:30 in the evening. My blisters were getting unbearable but the hike was worth it. The trail weaves through ponds, streams, cottages and meadows — things that you won’t get to admire much when you’re only passing by in a car. It’s interesting how it felt like time moved so slow here when it’s so close to the country’s bustling capital city. So close yet a world apart. The sun was setting when we drove back to Prague. Sunsets always get me — another day, another destiny/ destination over. Only the experience, and the lessons such as choosing the right footwear, remain. 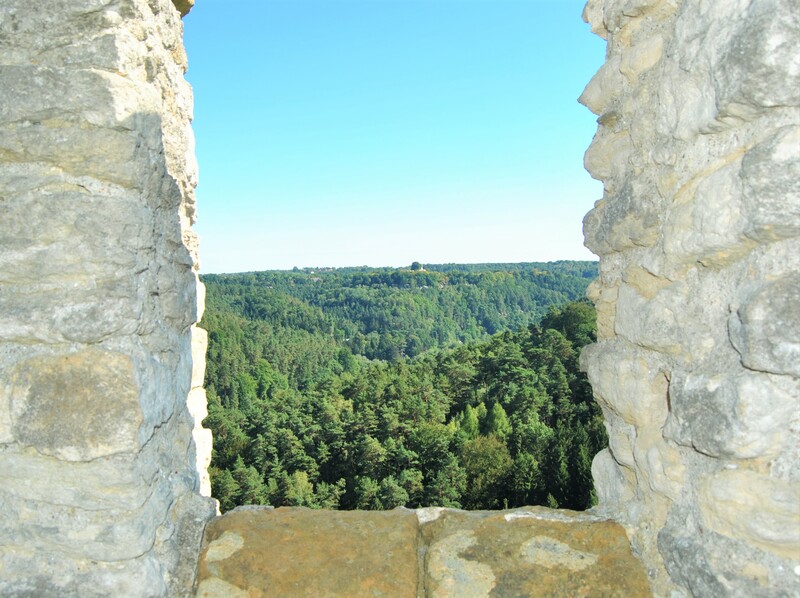 This entry was posted in Czech Republic, Travel and tagged czech castles, Czech Republic, Road trips, travel diary, travel photos, travels. Bookmark the permalink.